These individual, double sided cushions feature landscapes of the British countryside. 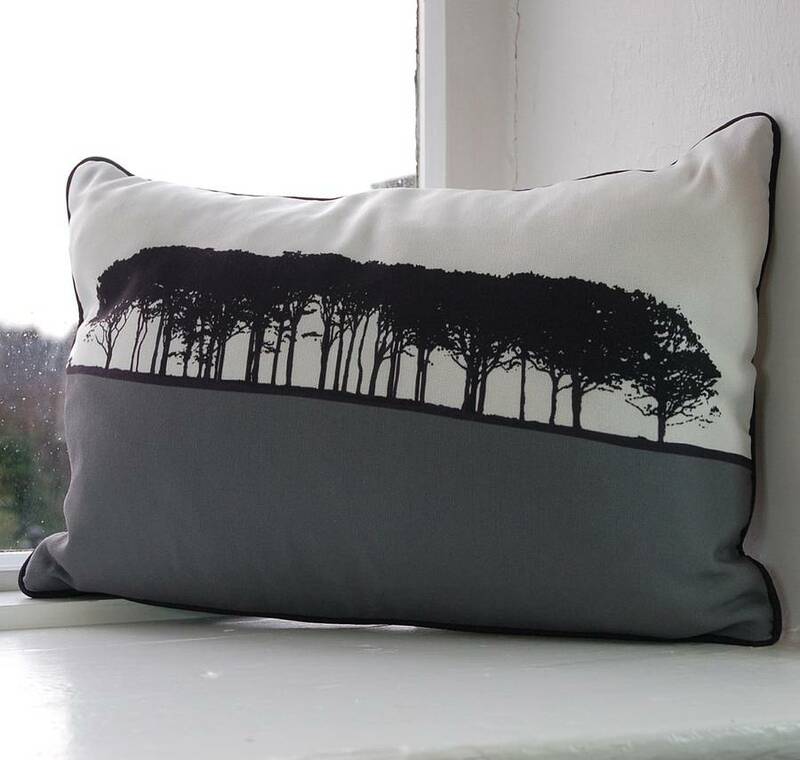 Each cushion is designed in Jacky Al-Samarraie's signature style, black silhoutted trees with a block of vibrant colour and is a beautiful addition to any home or space. 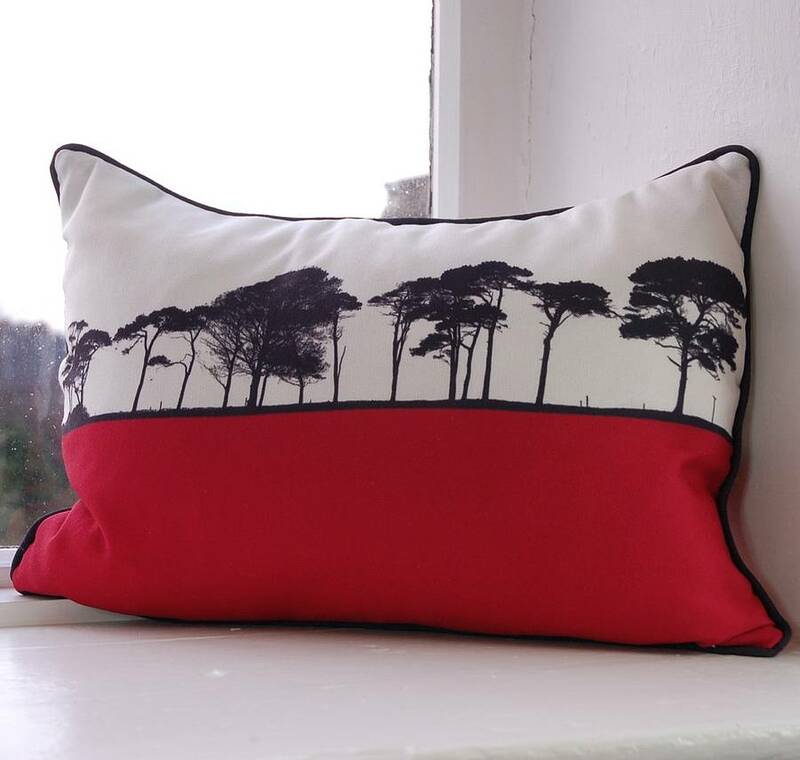 Printed on Panama fabric, the cushion is fully fire retardant. Machine washable on a 30-40 degree wash.
Grey, Raspberry, Turquoise and Lime. 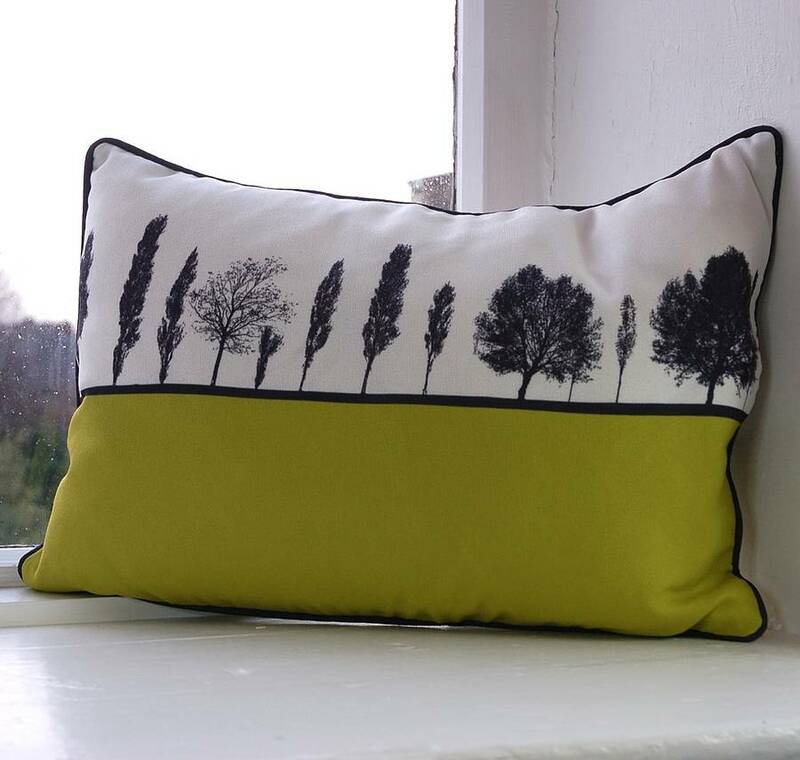 Cushion inner cover is 100% cotton and filled with feather and down. 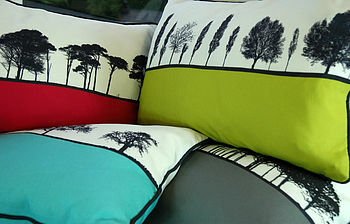 Each cushion measures: 50 x 36 cm. 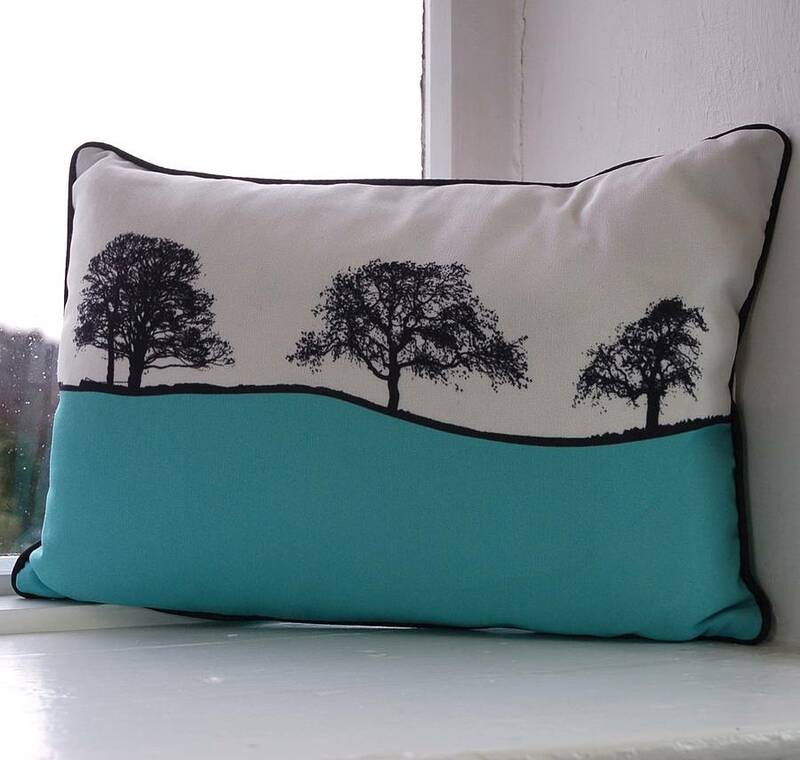 This product is dispatched to you by The Art Rooms.